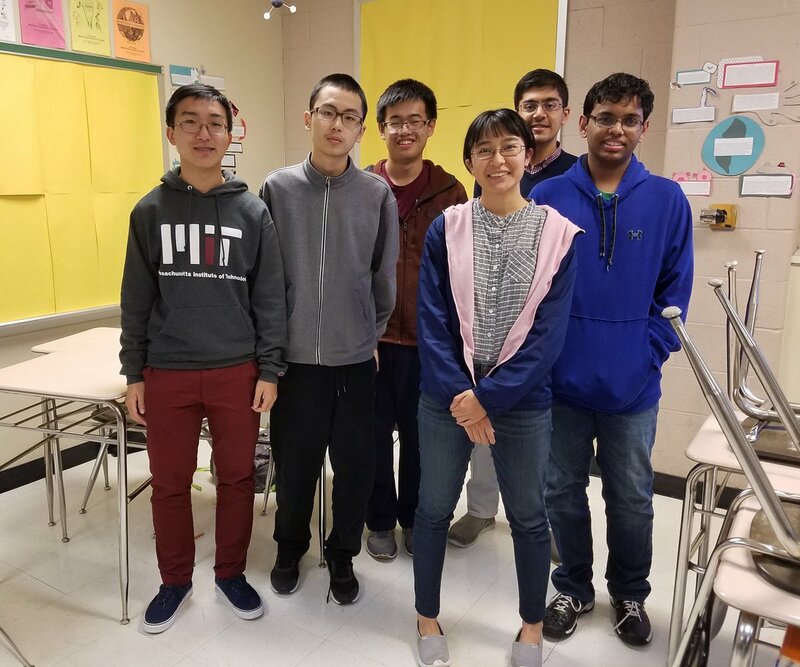 Andrew Komo, Mengming Luo, Anish Senapati, Yuang Shen, Shriyash Upadhyay, David Wu, Zan Xu, and Robert Yang were named Semifinalists in the 2017 Siemens Competition! 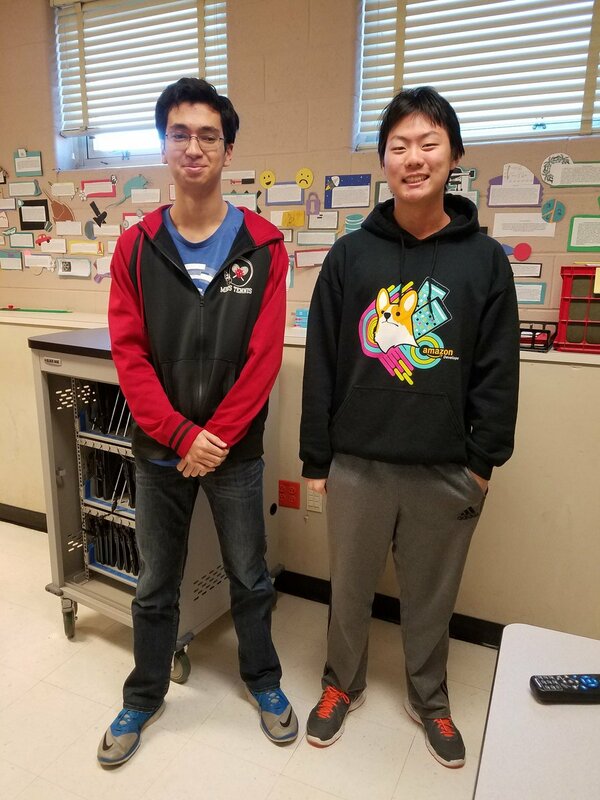 Andrew and Robert were named Regional Finalists, and they will compete at MIT on November 3-4th for a chance to win at least $25,000 as National Finalists. National Merit Semifinalists: Montgomery Blair had 46 National Merit Semifinalists, more than any other school in Maryland. The semifinalists are Perry Beamer, Everest Bloomer, Ankitha Durvasula, William Ederer, Laura Espinoza, Christopher Fiala, Tyler Fong, Sushanth Gupta, Ryan Handel, Marissa He, David Hinds, Ryan Holland, Rahul Jain, Divya John, Mikhail Khrenov, Elliot Kienzle, Noah Kim, George Klees, Avery Liou, Uro Lyi, Jyotsna Rao, Jacob Santangelo, Anish Senapati, Yuang Shen, Wendy Shi, Arman Siddique, Noah Singer, Nikita Singh, Claire Sparks, Siddharth Taneja, Shriyash Upadhyay, Alex Wang, Christopher Wang, Enya Wang, Lydia Wang, Margaret Wang, Ray Weng, Brennan Winer, David Witten, David Wu, Katherine Wu, Zan Xu, Michael Yin, Alice Zhang, Ariel Zhang, and Annie Zhao. Blair's Cybersecurity Team (Team Darkside) won 1st place among high schools in the Mitre CTF. The team members were Noah Kim, George Klees, Andrew Komo, Noah Singer, and Artemis Tosini. Blair's Quiz Bowl Team won 1st place, 2nd place, and tied for 3rd place at the Georgetown Fall Invitational High School Tournament. Several photo albums were recently uploaded to the BlairMagnet Flickr account, including PuzzlePalooza 2017, the Entomology Field Trip, and Senior Unity Day.